Slate, Dan, Annie and I made it to California a few days early to get ready for our first CDI. 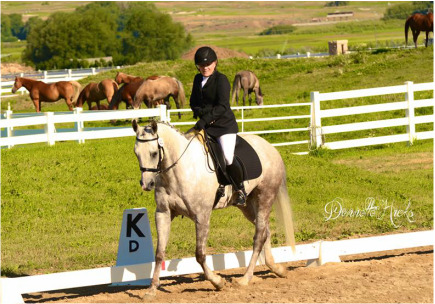 We arrived at the Rancho Murieta showgrounds the day before the jog and met some fantastic people. 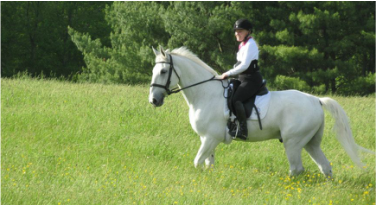 Unfortunately the day of the jog, Slate pulled up lame with a stone bruise and I was unable to show! It was very disappointing to work so hard and travel all that way and have to sit and watch. Luckily the poultice applied by the vet worked and he was sound the next week at home for riding. 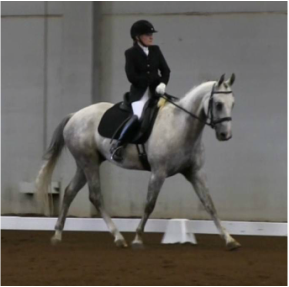 Slate and I finally get the opportunity to ride our Grade III Para tests in front of a judge! 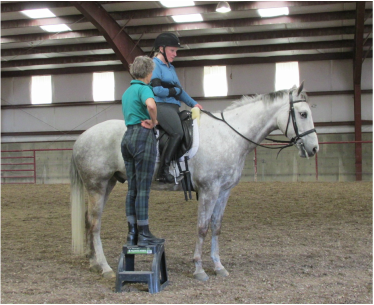 Thanks to the show management for adding a separate Para class for us! 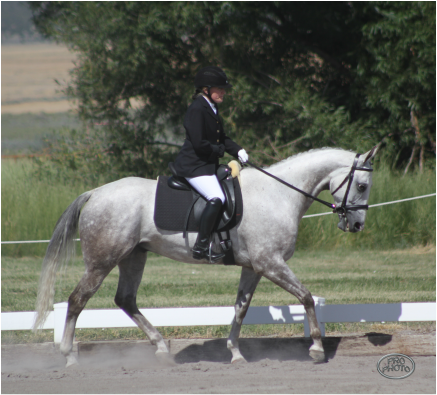 This was the first Para test ridden at a recognized show ever in the state of Utah. 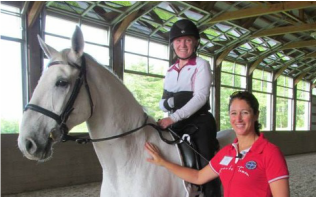 We were happy to get a decent score at each show that can be used for our USEF Para National Ranking. Slate, Annie Sweet, Dawn Whire O'Connor and Lara Oles at Arroyo del Mar. 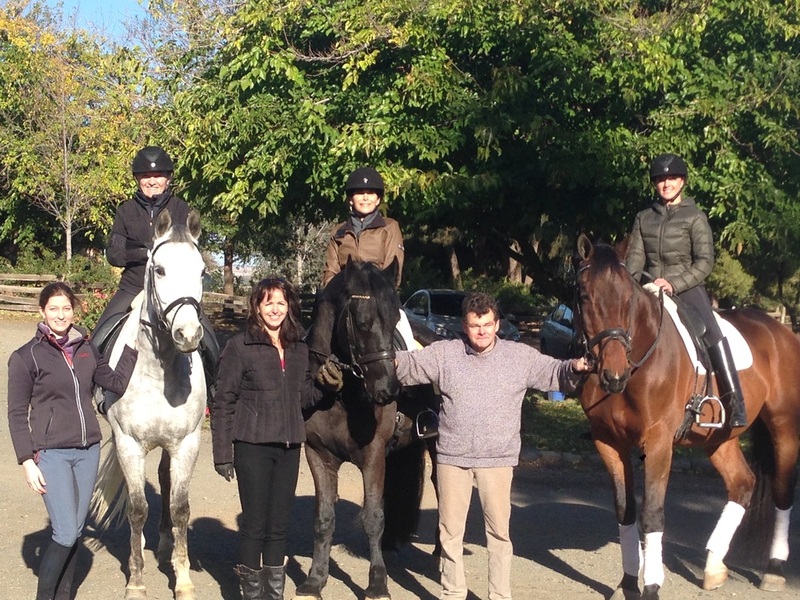 Lara and Slate with Steffen Peters, who is currently the top dressage rider in the United States. 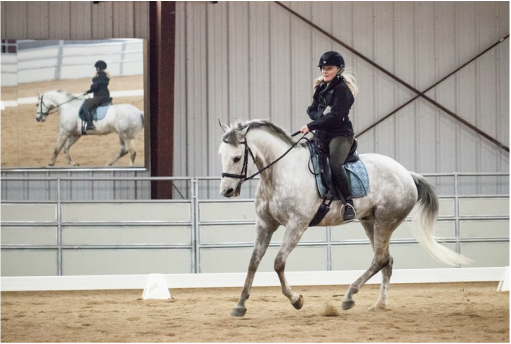 Nov. 20-23, 2013, Lara and Slate went to Winters, California for the Western U.S. Para Dressage Symposium sponsored by the United States Para Equestrian Association, and rode with visiting trainers from Great Britain, Clive Milkins and Dennis Callin.